I.M. 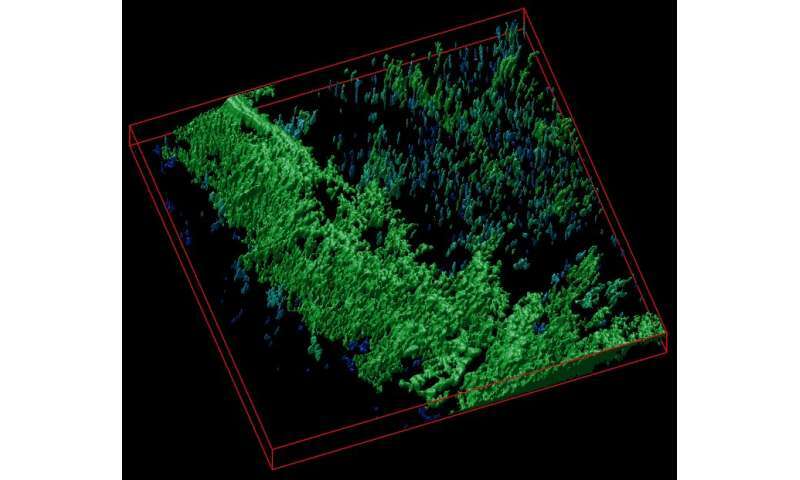 Sechenov of First Moscow State Medical University teamed up with Irish colleagues to develop a new imaging approach for tissue engineering. The team produced hybrid biosensor scaffold materials based on cellulose matrices labeled with pH- and calcium-sensitive fluorescent proteins. These materials enable visualization of the metabolism and other important biomarkers in engineered artificial tissues by microscopy. The results of the work were published in the Acta Biomaterialia journal. The success of tissue engineering is based on the use of scaffold matrices—materials that support the viability and direct the growth of cells, tissues, and organoids. Scaffolds are important for basic and applied biomedical research, tissue engineering and regenerative medicine, and are promising for development new therapeutics. However, the ability to observe what happens within the scaffolds during tissue growth poses a significant research challenge. "We developed a new approach allowing visualization of scaffold-grown tissue and cells by using labeling with biosensor fluorescent proteins. Due to the high specificity of labeling and the use of fluorescence microscopy FLIM, we can quantify changes in pH and calcium in the vicinity of cells," says Dr. Ruslan Dmitriev, Group Leader at the University College Cork and the Institute for Regenerative Medicine (I.M. Sechenov First Moscow State Medical University). To achieve the specific labeling of cellulose matrices, the researchers used well-known cellulose-binding proteins. The use of extracellular pH- and calcium-sensitive biosensors allows for analysis of cell metabolism. Extracellular acidification is directly associated with the balance of cell energy production pathways and the glycolytic flux (release of lactate). It is also a frequent hallmark of cancer and transformed cell types. On the other hand, calcium plays a key role in the extra- and intracellular signaling affecting cell growth and differentiation. The approach was tested on different types of cellulose matrices (bacterial and produced from decellularised plant tissues) using 3-D cultures of human colon cancer cells and stem-cell derived mouse small intestinal organoids. The scaffolds revealed changes in the extracellular acidification and were used with the analysis of real-time oxygenation of intestinal organoids. The resulting data can be presented in the form of colour maps, corresponding to the areas of cell growth within different microenvironments. "Our results open new prospects in the imaging of tissue-engineered constructs for regenerative medicine. They enable deeper understanding of tissue metabolism in 3-D and are also highly promising for commercialisation," concludes Dr. Dmitriev.